Glorious Gay Days: Favorite Things 2010! 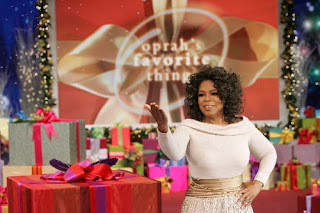 Since it's the farewell season of The Oprah Winfrey Show, Oprah had two shows of her favorite things. She had one on Friday and a second on Monday. It's so exciting to watch her give away her favorite things to her studio audience. I'm not getting any of this stuff, but I'm getting all excited watching her give it away. Do you know what's one of my favorite things? It's this 25th and final season of Oprah; she's doing epic shows each week- her sets, her guests, her topics are all remarkable each week. Thank you Oprah for 25 great years!